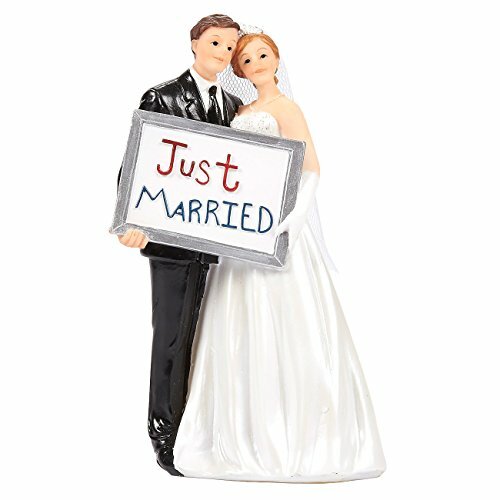 Your wedding day is an extremely special day for you as well as your better half. 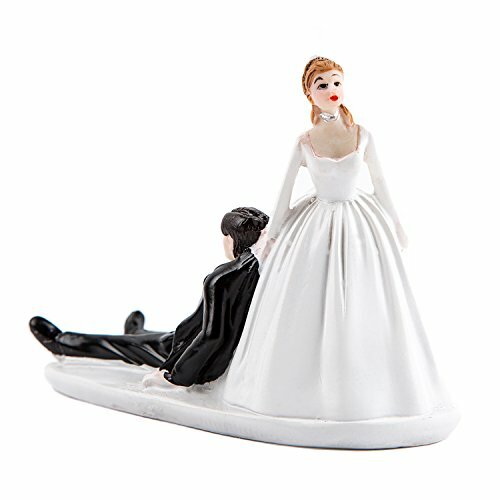 Obviously, you want everything to be perfect, starting with bride and groom’s attire up to the smallest accessory in decorations. 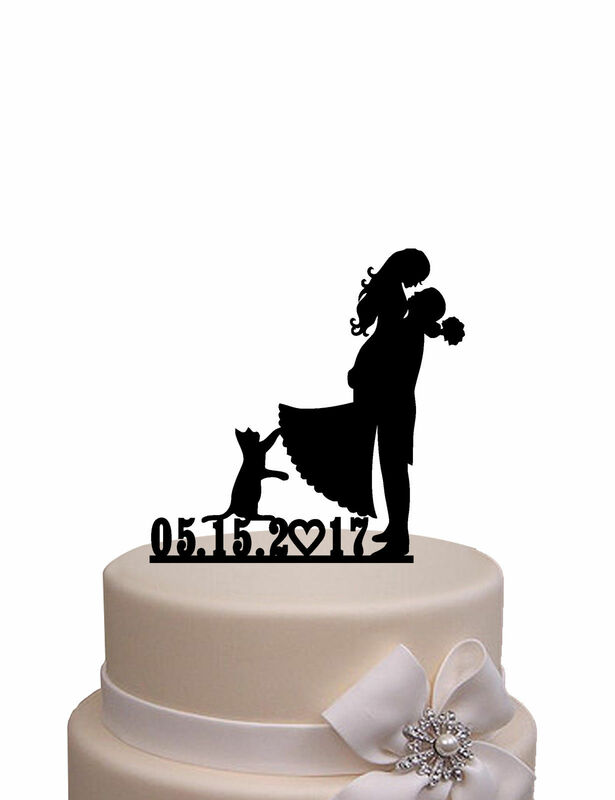 Nowadays theme celebrations are in fashion, and in this case even the little detail matters. 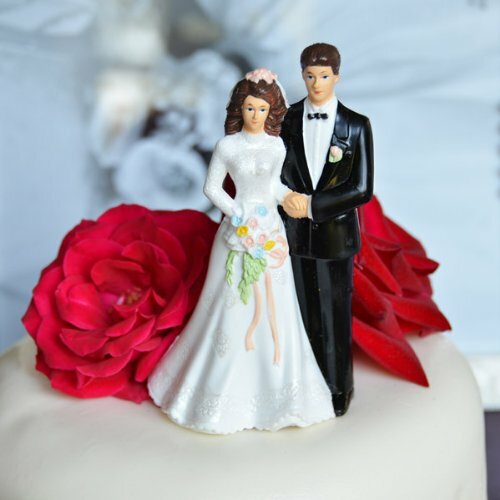 So you would agree that the wedding cake is one of the most important parts of every wedding celebration. 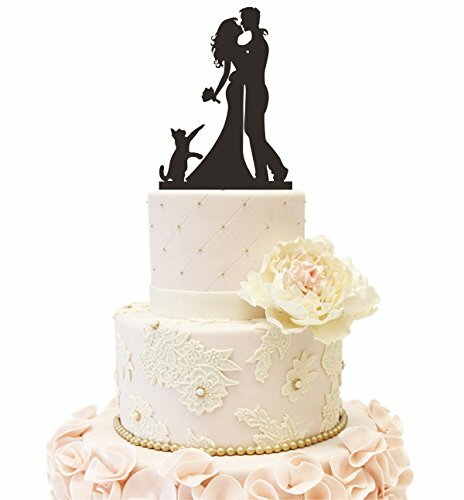 Everyone wants their guests to be amazed at their cake. 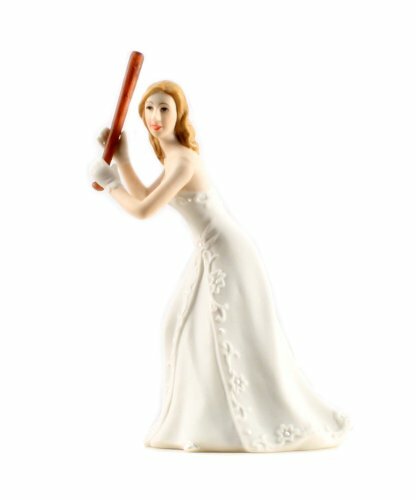 So don’t listen to anyone, today a cake topper is a must-have accessory. 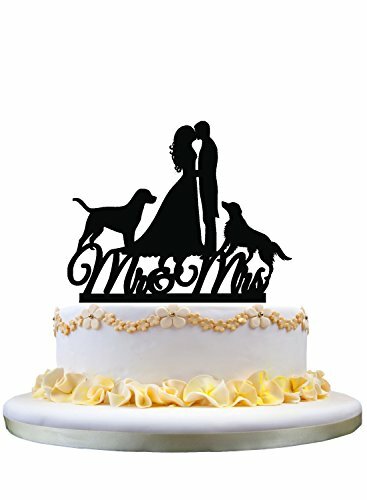 Wedding cake toppers can bring a fabulous peculiarity to your cake. 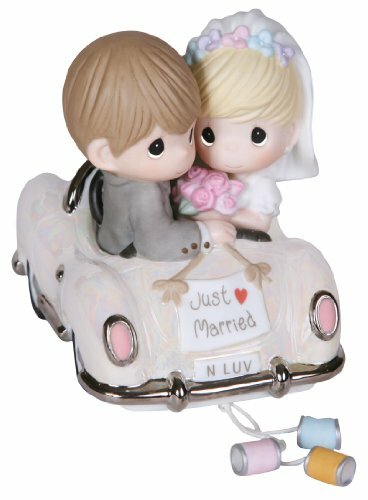 It is a perfect way to express your own personality. 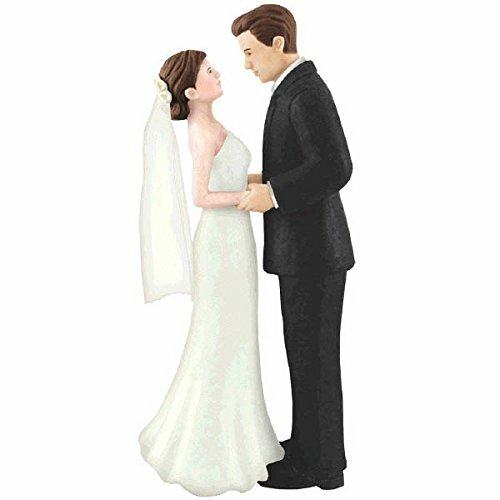 Nowadays numerous cake toppers are available to satisfy any bride and groom’s desires. They may be traditional and contemporary, formal and humorous; they may be themed, displaying hobbies, ways of life, occupation, etc. 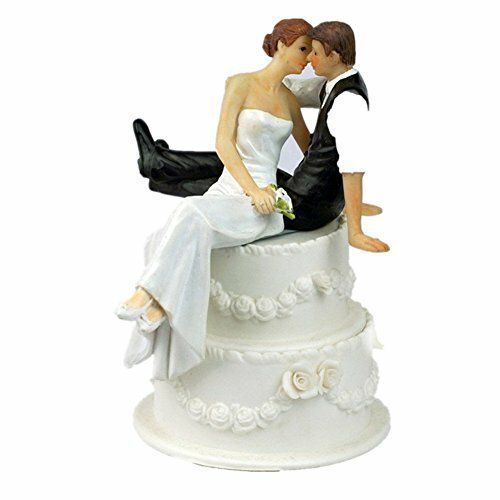 However, these days it is possible to choose a wedding cake topper among already made ones or buy a custom cake topper. 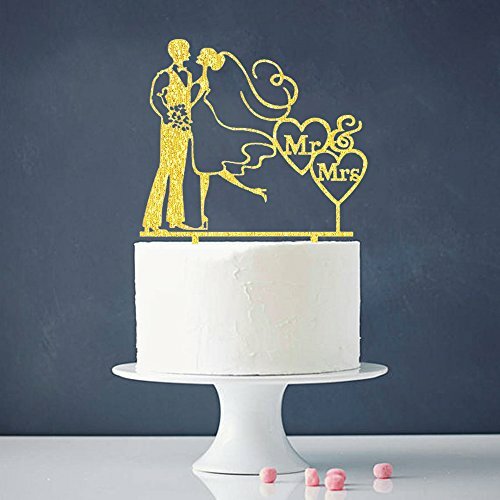 The custom cake topper is a good chance to make your wedding cake not only unique and unforgettable but also help you to express your extraordinary lifestyle and taste. 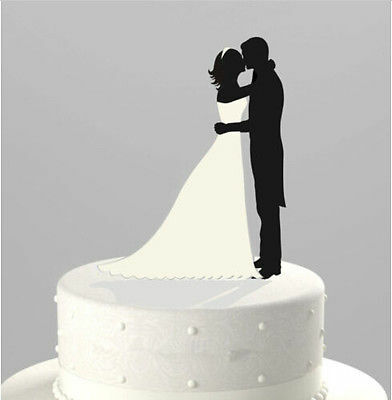 This is also a good way to make your wedding cake topper match with the design of the whole cake. 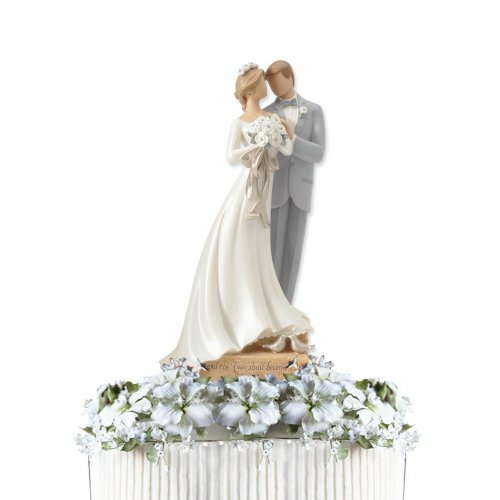 Moreover, cake topper figurines may serve as an extravagant present for a happy couple and will preserve sweet memories of this special day for years. 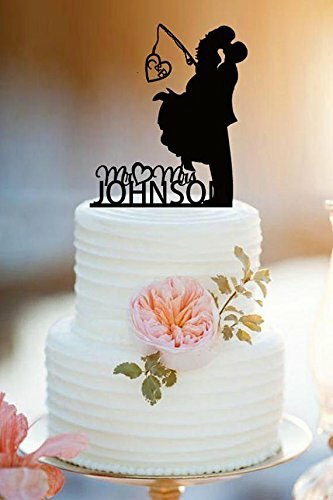 If you want to make your wedding celebration formal and traditional, probably one of the best choices is to have a custom crystal monogram as the cake topper. This is a perfect option for those who are fond of everything shiny and glittering. 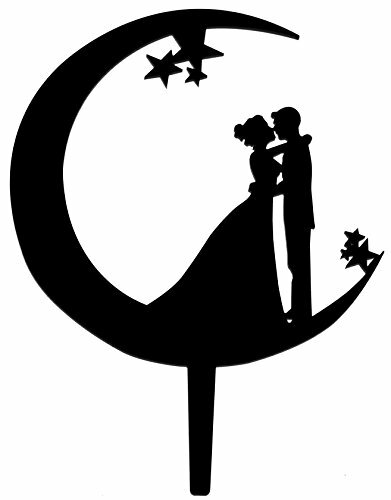 If the bride takes the groom’s last name, a nice way out is to have one big initial of their surname. 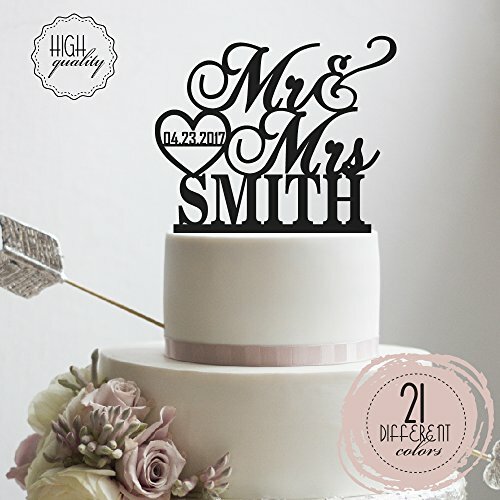 One more alternative is to have an initial of the shared last name in the center and a first initial of a bride and a groom on both sides. 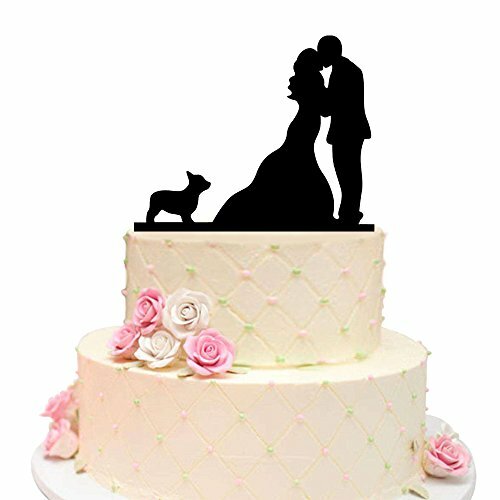 This will look elegant and add some glamour to your celebration. 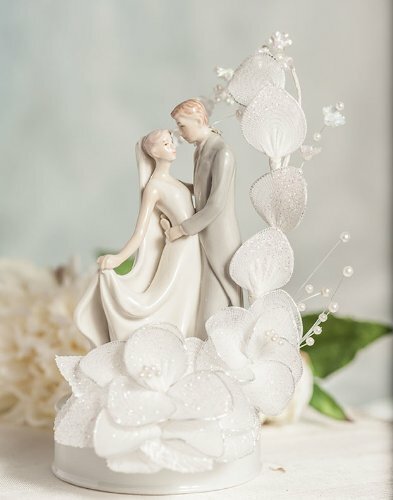 Find some inspiration for your wedding cake topper from the theme of your wedding party. If you have a beach celebration, you may use seashells, starfishes, and corals for decoration. 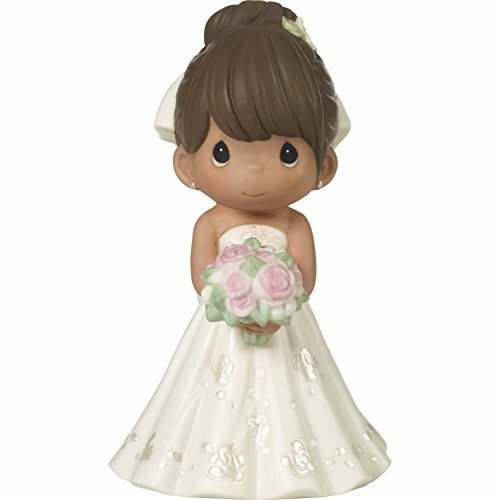 Place a nice bouquet of flowers to end up your garden wedding party. 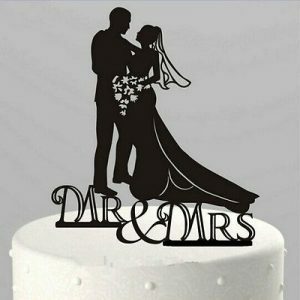 Nowadays more and more people are choosing the cartoon theme for their special occasion, so you may be interested in Disney Cake Toppers or maybe Superhero Cake Toppers. 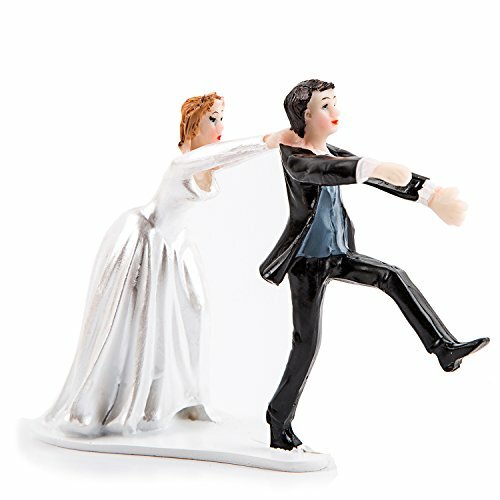 The most commonly used is the bride is dragging the groom, or the groom is waiting endlessly for the bride, or the bride’s father is aiming at the groom with the gun. Give way to your imagination, impossible is nothing. 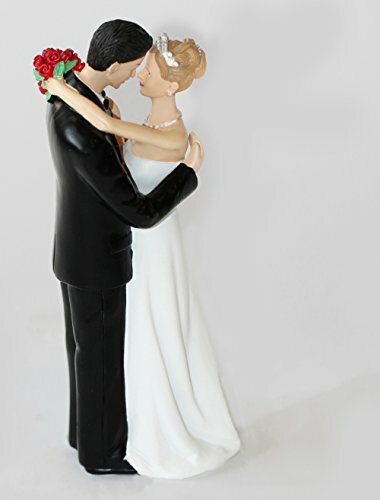 But still, the most traditional and probably the most commonly used are Bride and Groom cake toppers. They may vary in styles and designs. 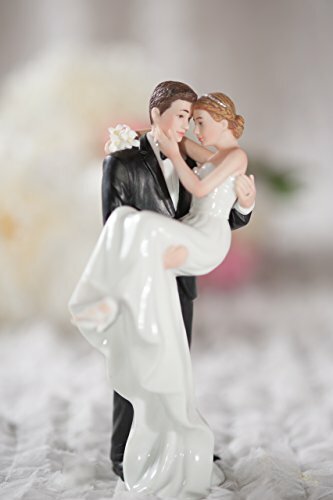 It is the latest fashion to have small figurines as wedding cake toppers that in fact would be miniature versions of bride and groom. 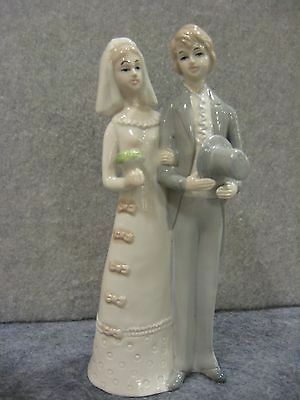 They have the same wedding attire, hairstyles, accessories and even life-like face resemblance to the couple. But this is just one of the options. 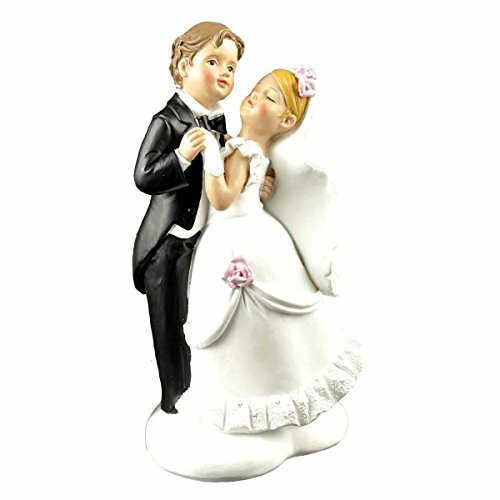 You can dress your figurines of bride and groom representing your usual style while choosing something more traditional for yourselves. 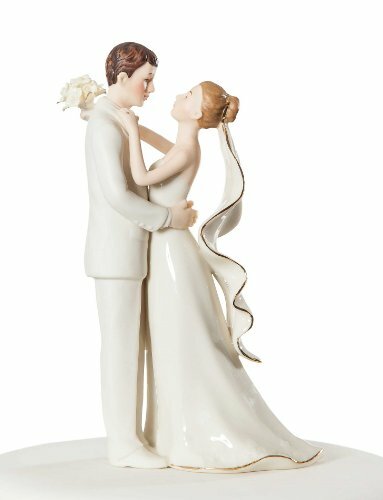 For those who are still looking for something more traditional, using some antiques will add vintage flavor to your wedding. 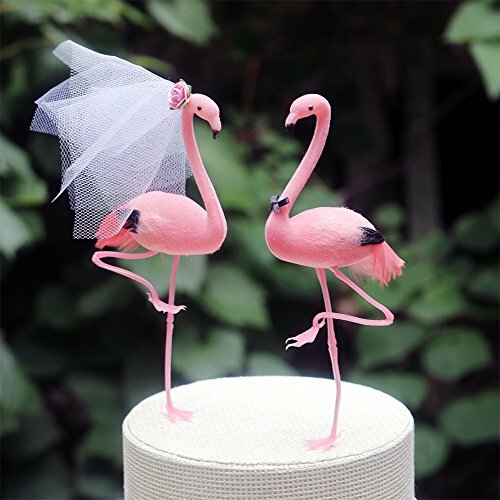 In this case, Vintage Wedding Cake Toppers will be very interesting for you. 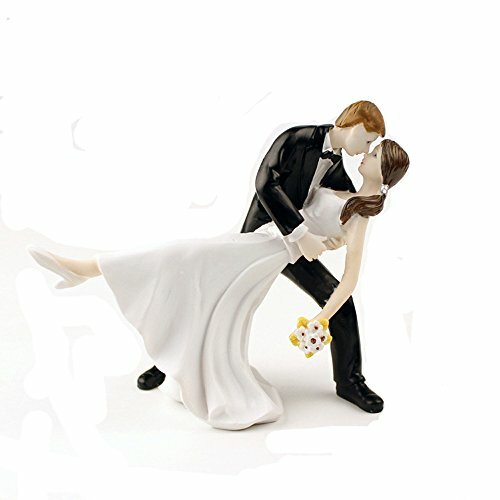 Customized Bride and Groom cake toppers can help you to express your hobbies preferences, music tastes, and lifestyles. 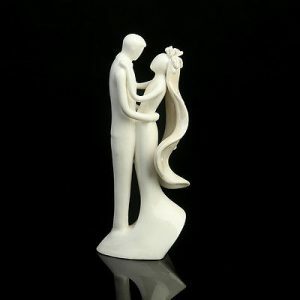 You can depict the way you both met, your first date or your favorite pastime together. 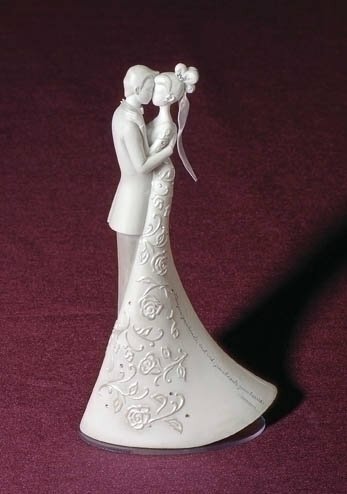 Our company is ready to help you with any wedding cake topper you can imagine. 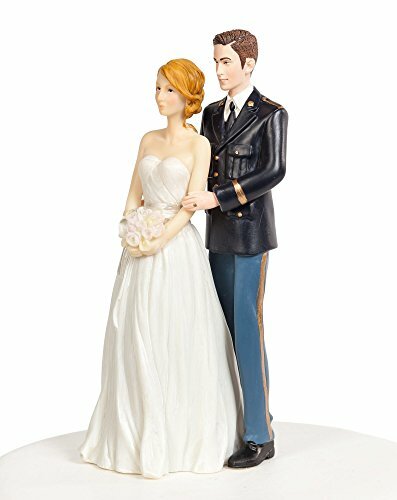 We specialize in designing unique Bride and Groom cake toppers that resemble the facial features of our clients. 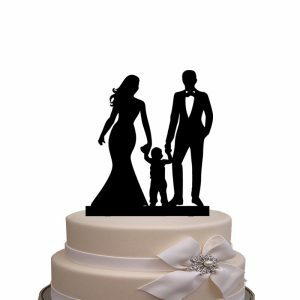 The thing that differs from our cake toppers from any others is that we welcome our customers to take part in the whole creation process. 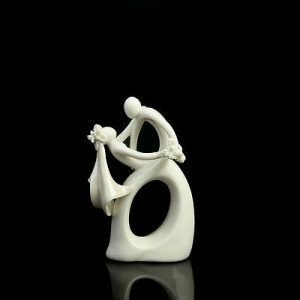 We ask them to choose everything starting with the posture of the figurines, their attire, hairstyles including even smallest accessories. 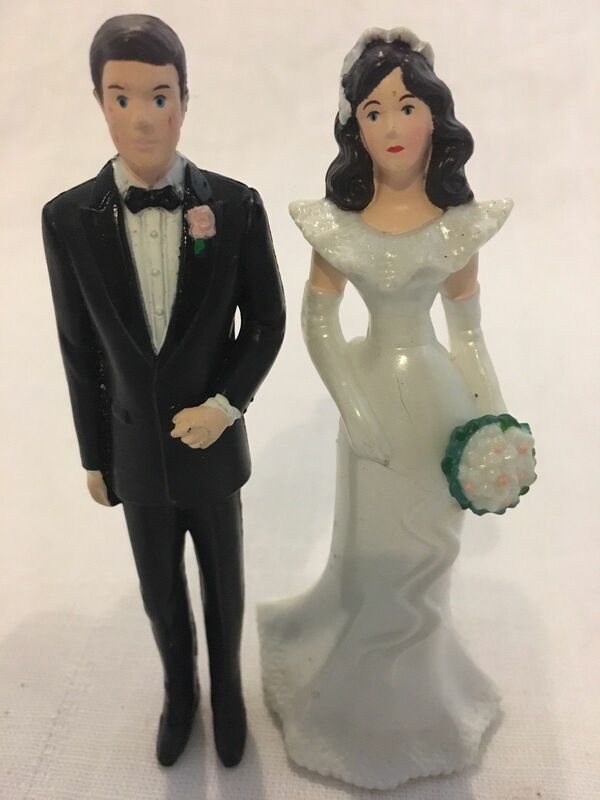 Our company is ready to provide you with absolutely exclusive Bride and Groom cake toppers that would maintain a life-like resemblance to you and your better half. 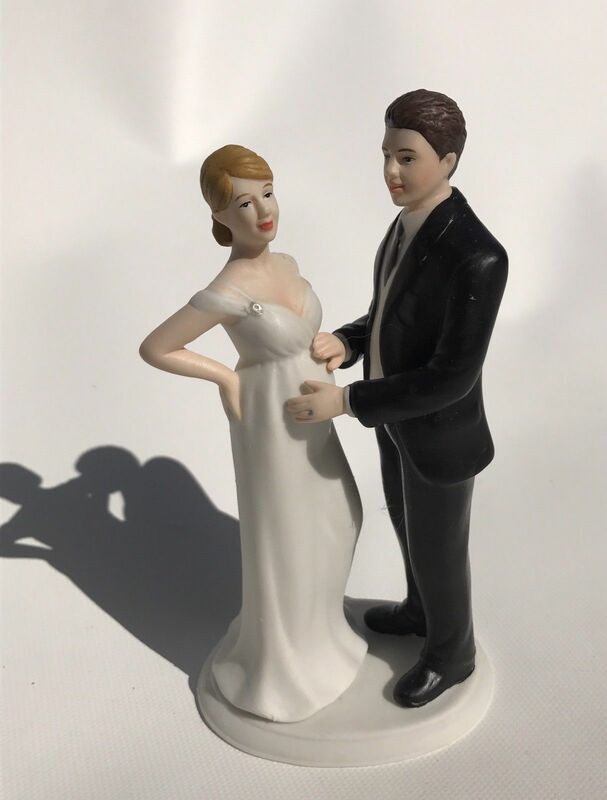 The only thing we need for that is your decision, a bit of creativity and two photos of your faces with the expressions you want to see on your figurines. 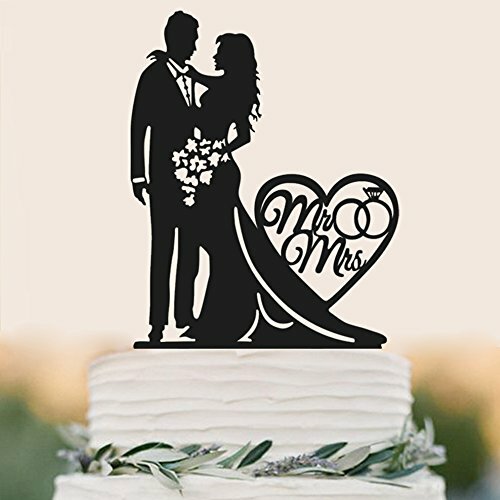 We send free proofs of our work to the clients, make the necessary changes if the customer thinks it is needed and send a ready-made cake topper for approval before shipping it. We are shipping worldwide. Besides, shipping rates for our clients are cheaper than the usual ones. 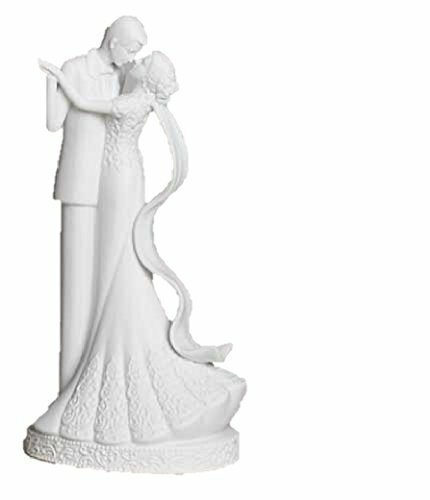 Our team consists only of professional artisans who love their job. 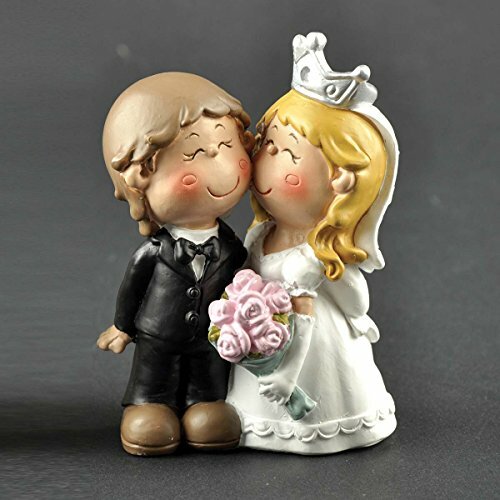 We are happy to help you make your wedding day perfect and unforgettable. 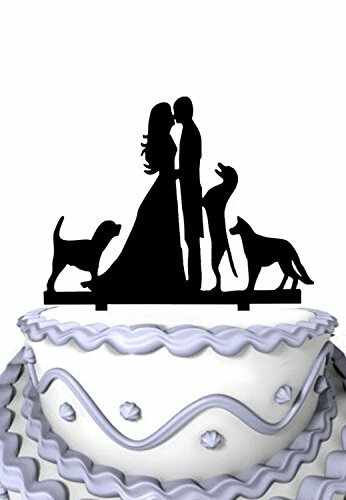 That’s why we use only the best materials for sculpting cake toppers. In order for our cooperation to be easy and productive each of our customers receives his/her own representative and a craftsman. This makes the process more quick and personalized. 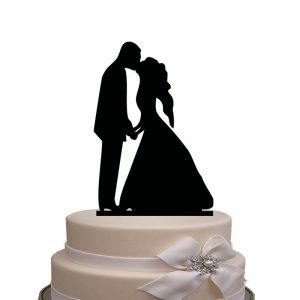 Buying cake toppers in bulk give you the privilege to get a discount. Moreover, we take rush orders. 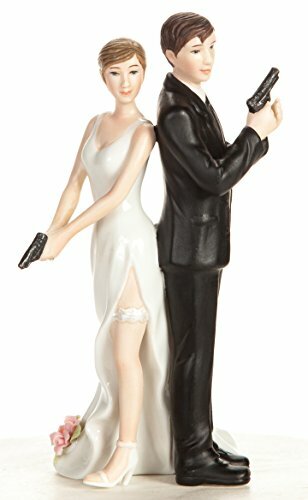 As soon as you have approved your Bride and Groom cake topper we ship it to you. We advise our clients to choose only safe and secure mailing services, make sure mailing workers are not opening or checking the packages. 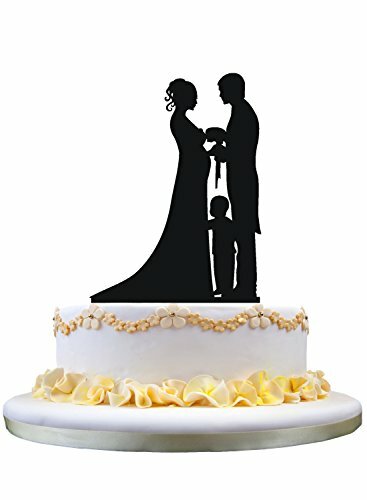 Buying a cake topper from our website you are not only receiving an absolutely unique cake topper but all our clients get a discount on shipping rates. So you may notice that the price on the box is higher than you have paid. 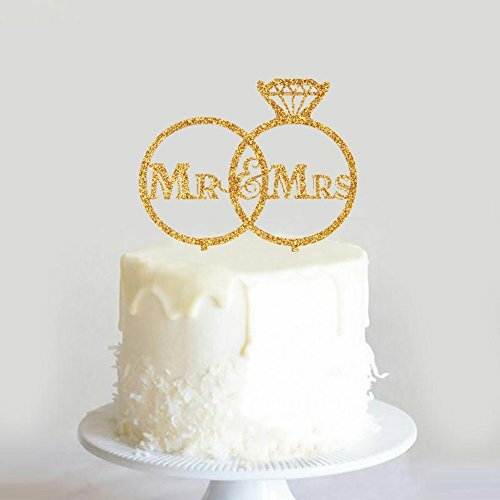 We are very grateful that you have chosen our team to make your wedding celebration special! We are looking for our further cooperation. High quality for durable and long-lasting use. 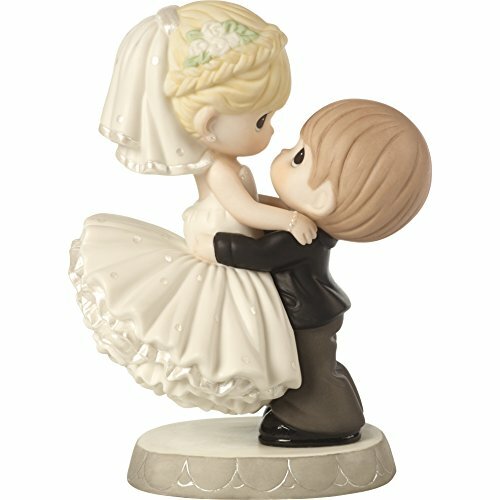 Characteristic and exquisite dance couple design with pleasant color and brightness. 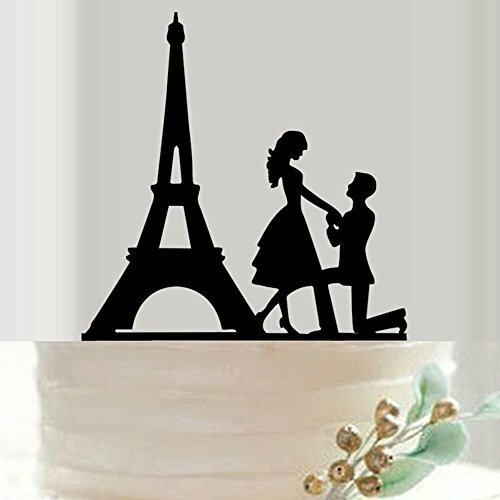 Perfect for your prom, dancing party, expecially wedding or any other special soiree. SIZE: Approx. 5.9-inch Length x 5.5-inch Width. 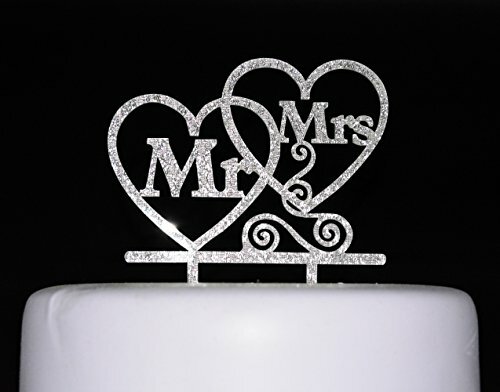 COLOR: Bright Silver Glitter High Quality: Made of Food Safe Acrylic.Cake Toppers Can Be Reused and Be Handwashed. 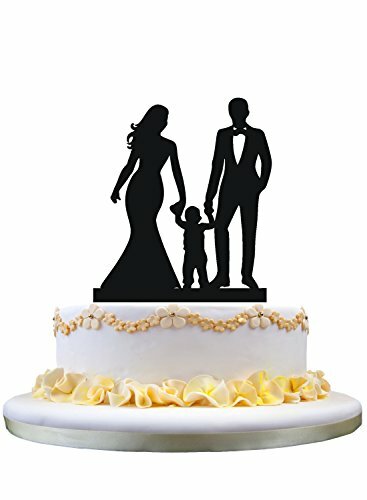 Ideal For 6 To 8 Inch Cake to Celebrate Wedding Party! Add a Sparkle to Your Party! 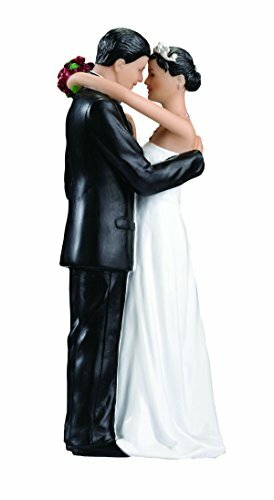 Wedding bride and groom romantic kiss figurine. 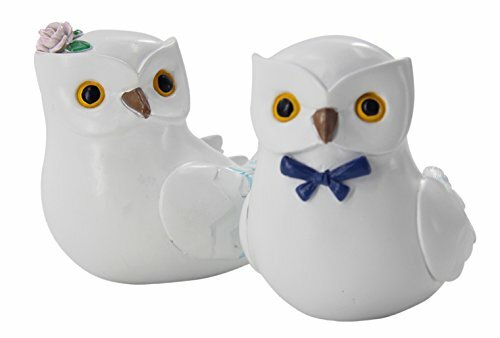 Made of painted resin, durable and light weight. 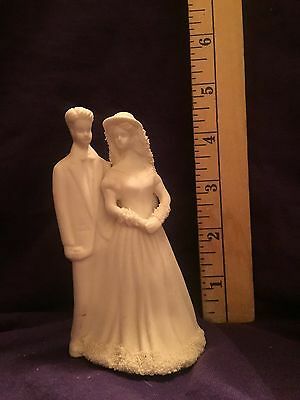 Measures 4.5"*4"*5.7". 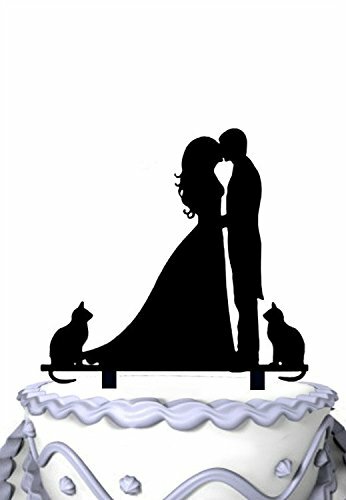 The Cake Topper Special Design for Wedding/Bridal Shower Party Cake Decorations Perfect For Your Special Party! Also Use As A Photo Booth Prop. 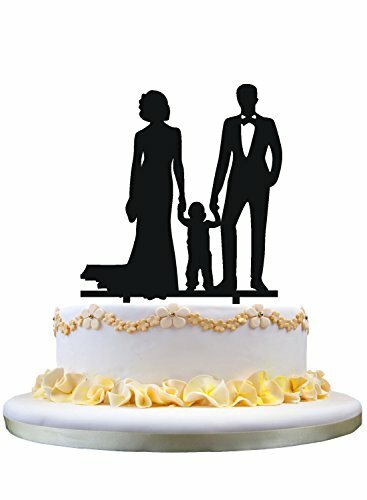 High Quality Acrylic Material，No Burr Left, No Worry About Any Component Missing In The Cake. 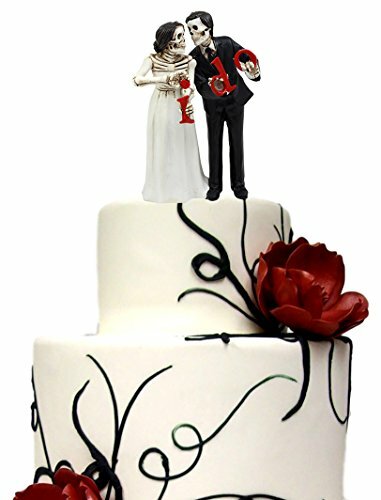 This Love Never Dies Wedding Skeleton Couple Cake Topper figurines are 6" tall, 4" long and 3" deep approximately. 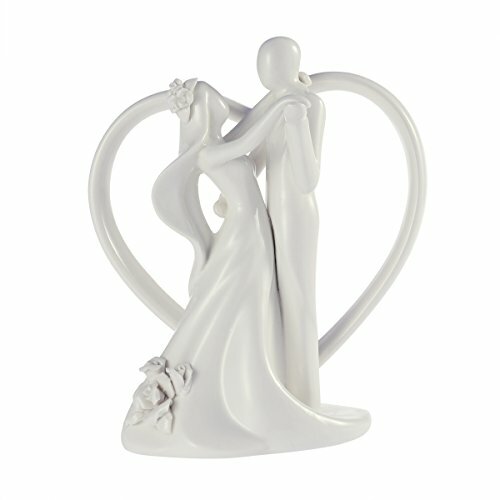 This Love Never Dies Wedding Skeleton Couple figurines are made of designer composite resin, hand painted and polished. 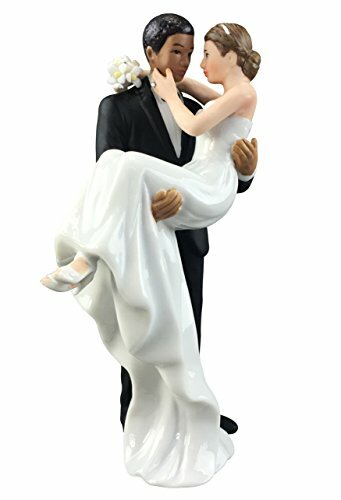 Color Tone may vary This Skeleton Wedding Couple is a perfect wedding anniversary gift as well as an awesome decor for the day of the dead celebration. 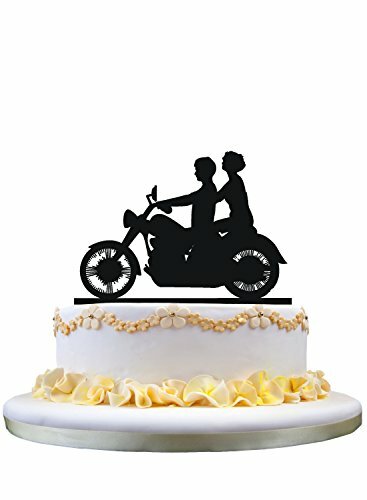 You can also use it as a cake topper! Lover never dies and you take it to your grave and more! 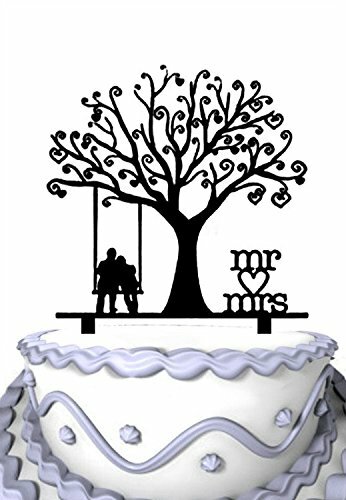 It features a beautiful bride and her groom holding an I Do sign. 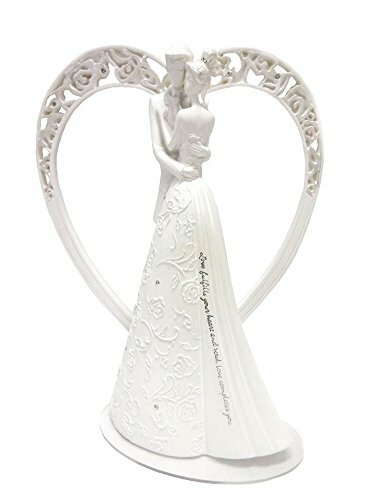 This figurine is a symbol of eternal love and as the saying goes "True Love Never Dies"
Stands 2.36" length x 1.57" wide x 3.54" tall Made of resin stone material. Dust with soft cloth or soft brush. avoid water or cleaning solvents. 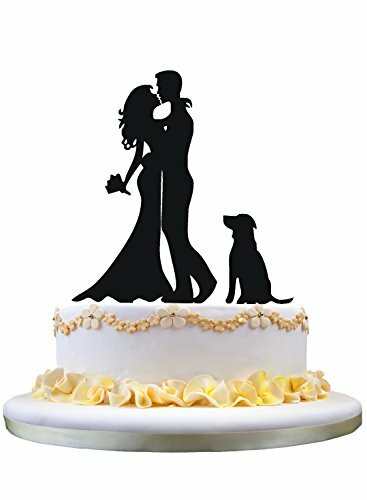 Wedding Cake Topper Is Simple But Very Elegant Accessories for Your Wedding Party Cake Decoration, Romantic Dancing Couple Wedding Cake Topper with A Pet Matches Your Wedding Party Theme Perfectly. 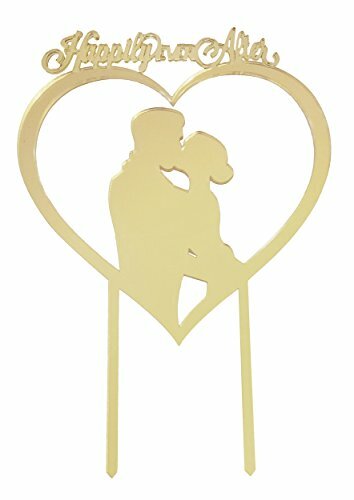 Great Gift for Wedding. 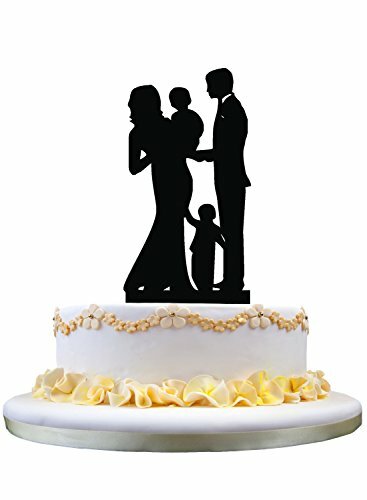 Wedding Cake Topper Would Be Collected After Wedding Party Celebration. 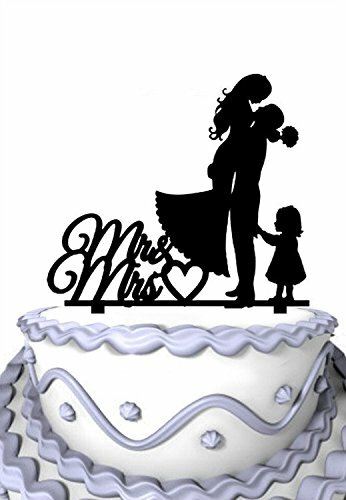 Used in Romantic Wedding,Bridal Shower, Anniversary,Engagement Party, Birthday Party, Holiday Celebrating and So On. It Also Match with Fresh Bouquet Perfectly. 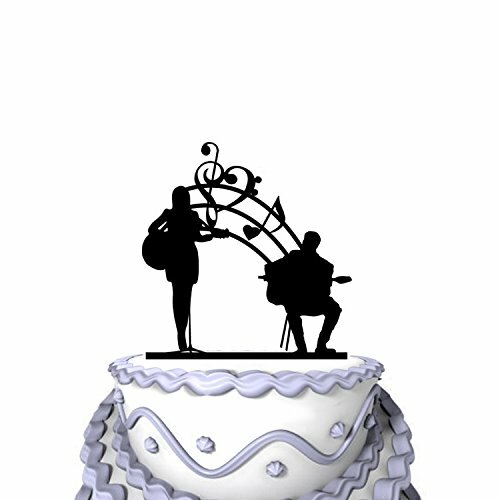 It Will Perfectly Fit On Your Cake and Everybody Will Be Jealous. 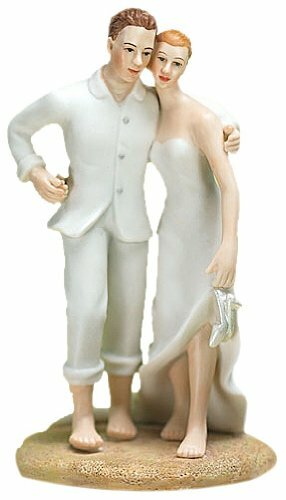 Bride and groom figurines decorate the cake together Painted resin figurine Measures 6.5"
SET INCLUDES: 1x bride and groom figurines made of resin holding a plate with a cheerful "Just married" message. 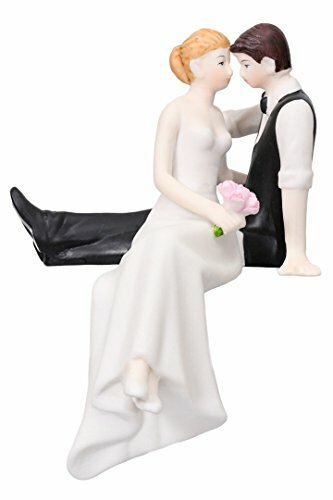 ADORABLE DESIGN: This statue is crafted of durable resin with a cute design that will put a smile on your face and a touch of romance on your wedding cake. 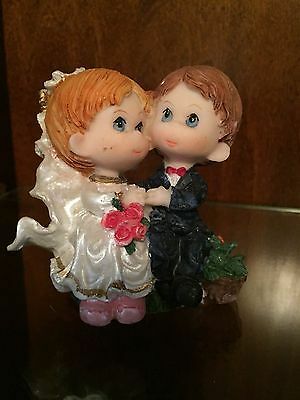 COLLECTIBLE: A lasting, post-wedding keepsake that will remind you of your special day. 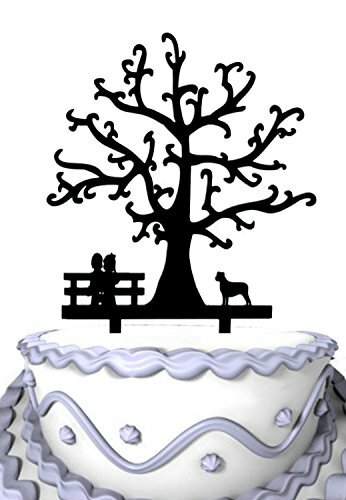 Fulfilled by Amazon for FAST Shipping SIZE: Our hand-painted resin cake topper is 6-1/2" tall x 2-1/4" wide. 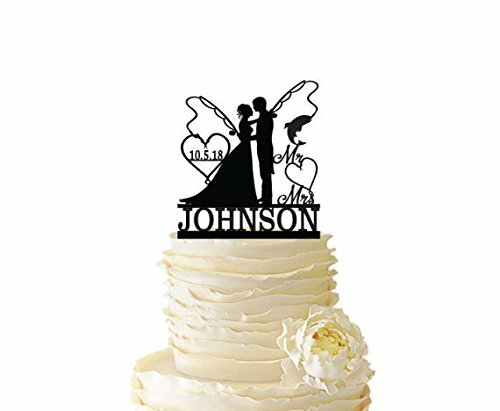 This cake topper is a classic, TRADITIONAL HIGHLIGHT to your wedding cake. 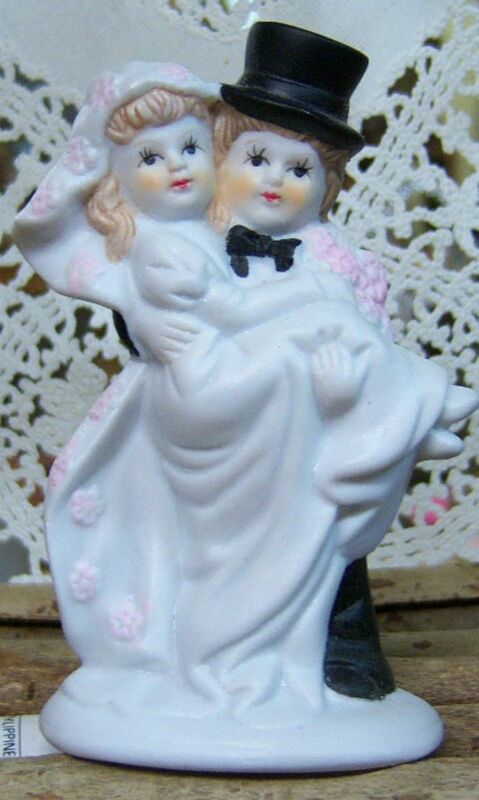 It features a couple in a loving embrace, gazing in to each other's eyes.